Celebrated chefs Jacques Pépin, Michael Smith, Bob Blumer and Mark Greenaway are among 2017 participants for the world’s largest culinary film festival. Wolfville, NS (August 22, 2017) – The world’s largest culinary film festival, Devour! The Food Film Fest (Devour!) today announced initial programming details for the seventh annual instalment. Celebrated chefs Jacques Pépin, Michael Smith, Bob Blumer and Mark Greenaway are joining previously announced festival Guest Curator, Canadian film icon Gordon Pinsent as 2017 participants. Devour! is the world’s largest film festival devoted to all things culinary. Each year, the festival showcases engaging cinema paired with extraordinary food and wine culture over five days in Wolfville, Nova Scotia from October 25 – 29, 2017. The seventh edition of Devour! is themed “A Celebration of Canadian Cinema and Cuisine” and will bring acclaimed filmmakers and chefs from across Canada and internationally. The festival features 99 events including 72 films in 34 screenings, 23 industry workshops, three celebrity chef dinners, 22 tasting tours, and 20 special events including dinners and parties. The first round of tickets to the highly anticipated seventh edition of Devour! The Food Film Fest goes on sale Tuesday, August 29 at 10am AT. Tickets range in price from $10 to $999 (plus applicable taxes) for the exclusive Devour! The Festival Pass (limited quantities available). This all-access pass gives priority entry to the opening gala evening and all films, workshops, tasting tours, celebrity chef dinners, parties and special events. Devour! also offers a round-trip shuttle from Halifax to Wolfville for $20. For more information or to purchase tickets visit devourfest.com. Devour! will showcase 72 films during 34 screenings. The festival’s 2017 Guest Curator Gordon Pinsent will help kick off the festivities during the Opening Gala taking place at the Fountain Commons at Acadia University on Wednesday, October 25. The award-winning actor, screenwriter, director and playwright personally selected The Hundred-Foot Journey directed by Lasse Hallström as the opening screening of the festival. 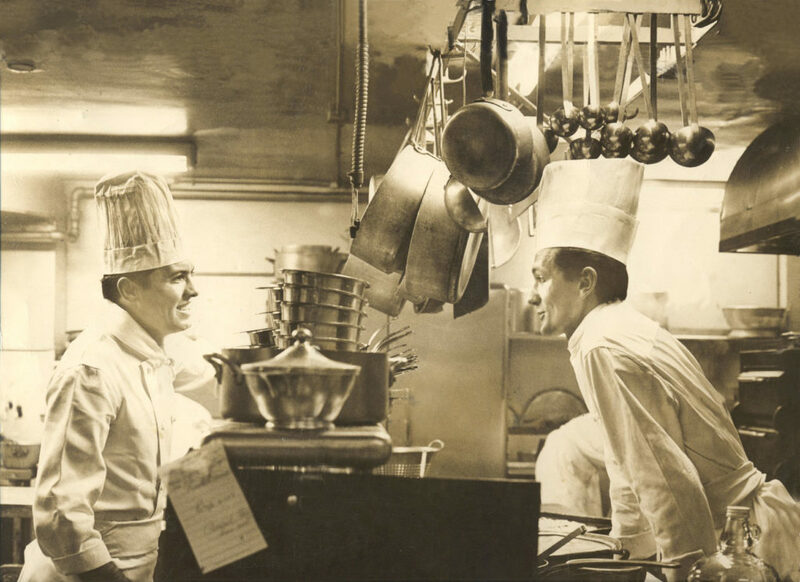 Film screenings also include the Canadian Premiere of Jacques Pépin – The Art of Craft directed by Peter Stein, which will be attended by culinary legend Jacques Pépin and Stein, as well as the world premiere of the Canadian film Grand Cru, directed by David Eng, who will be in attendance. The 2017 line-up of visiting celebrity chefs, industry leaders, and up and comers will have even the most refined culinary palates watering. Among them are Food Network stars Bob Blumer, Michael Smith and John Higgins; top tier Scottish chefs Mark Greenaway – whose cookbook was named the world’s best cookbook at the 2017 Gourmand Cookbook Awards – and Peter McKenna (The Gannet, one of Glasgow’s leading restaurants). The festival also features some of Canada’s best-known chefs including, Joshna Maharaj (Toronto), Emma Cardarelli (Nora Gray; Montreal), Paul Rogalski (Rouge, Bistro Rouge; Calgary), and CBC’s Ali Hassan. From Thursday, October 26 – Saturday, October 28, these international culinary leaders will pair up with local Nova Scotia sensations to create three decadent meals inspired by select festival films. The Celebrity Chef Dinner on Thursday, October 26 is themed Scotland vs New Scotland as three Scottish and three Nova Scotia chefs face off to create a French-influenced menu in tribute to Pépin. For the first time, Devour! will bring a sample of the Devour! satellite events home with The Devour Roadshow Comes Homes on Friday, October 27. Each chef will prepare one course inspired by a short film screened right in the dining room in Nova Scotia wine country’s most stunning new venue, Lightfoot & Wolfville Winery. The Spotlight Gala on Saturday, October 28 will be the ultimate Canadian feast inspired by the Canadian film Grand Cru. Eight of Canada’s best chefs will combine their culinary genius to prepare an unparalleled patriotic repast. Faculty and student chefs from the Pacific Institute of Culinary Arts in Vancouver will join returning culinary programs Toronto’s George Brown College’s Centre for Hospitality and Culinary Arts and Nova Scotia Community College’s Culinary Arts and Tourism Management programs at Devour! as part of the festival’s ongoing partnership with renowned culinary schools to help provide real-world experience, skills development and valuable industry connections for Canada’s next generation of culinarians. Festivalgoers can participate in 23 workshops spanning the film and culinary industry. Highlights include a Food Photography workshop with influencer Dennis The Prescott, an all-day filmmaking intensive with From the Wild filmmakers Kevin Kossowan and Jeff Senger, It’s Five O’Clock Somewhere: Cocktails Workshop with mixologists Jeff Van Horne and Matt Jones, culinary workshops with chefs Michael Smith, Mark Greenaway and others. Additional programming will be announced in the weeks leading up to the festival. For full programing details visit devourfest.com.